A couple of weeks ago I did a post on Southern Living's 2016 Christmas Cookbook. The Cookbook is still for sale exclusively at Dillard's for only $10, and all proceeds go to benefit the Ronald McDonald House Charities. 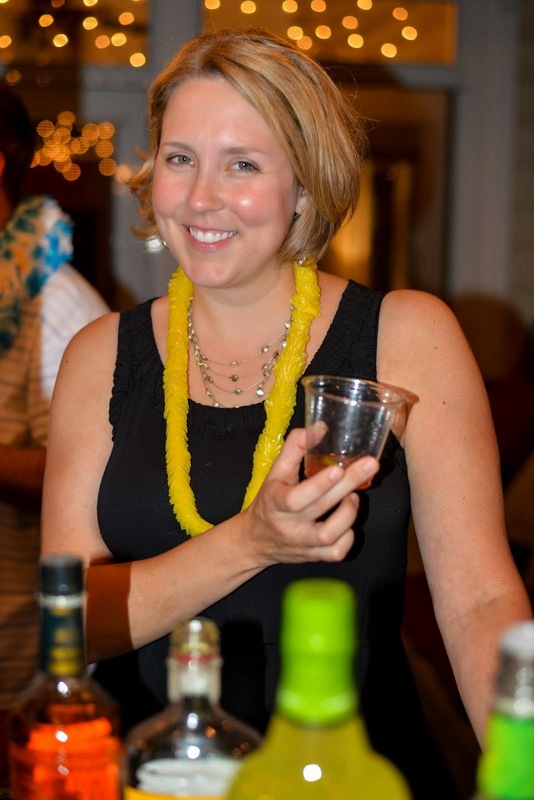 What a great way to support an amazing cause! By helping children and their families when they are facing down their biggest challenges, Ronald McDonald Houses provide so much more than food and a roof: They provide amazing support and comfort as well. This Cookbook belongs in your kitchen, and in the kitchens of all your friends and families! Anyone who loves Southern Living and their tasty recipes and gorgeous entertaining ideas will love getting this book as a gift. With tantalizing breakfast treats, scintillating Holiday meals, and scrumptious desserts, there's something for every part of your Holiday celebration. Their dessert section is particularly inspiring, with incredible cakes, cookies, and treats. 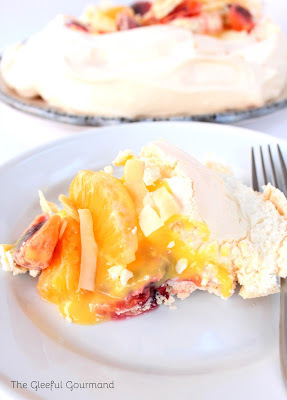 But one recipe caught my attention and held it: their Coconut-Citrus Pavlova. Ever since I watched Ina Garten make one with stewed summer berries, I've not only wanted to taste one, but also make one. I knew this was one dessert that was right up my alley: something slightly challenging, and something new. But first, a brief history. 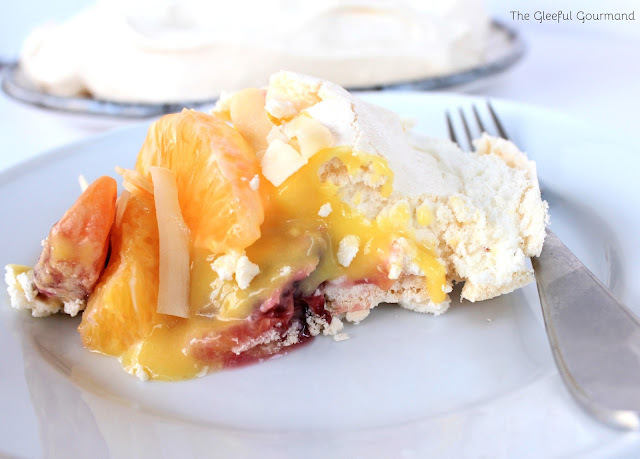 Pavlova desserts (sometimes called Pavlova Cake or Pavlova Pie), were named for Russian prima ballerina and choreographer, Anna Pavlova (1881-1931). She was one of the most celebrated and influential dancers of her time, and recipes for Pavlova desserts started appearing shortly after she began touring across America, Europe, and the UK in 1910. That much we know for sure, but history is a funny thing. It turns out that a few countries claim they were the first to invent, or publish a recipe of the Pavlova, including Australia, New Zealand, and America. America: We don't really care all that much, but we show that this type of dessert replicates the type of Germanic torte already being made in the Midwest by the time the first "Strawberries Pavlova" recipe rolled out of here in 1911. No big deal. New Zealand: It's our national dish, and the Oxford English Dictionary recently said the dessert was invented in New Zealand, with the first recipe appearing in NZ in 1927! And you don't question the Oxford English Dictionary, Australia! Australia: Go home, New Zealand, you're drunk! We couldn't care less what the Oxford English Dictionary says because we know, unequivocally, that the Pavlova was invented here! 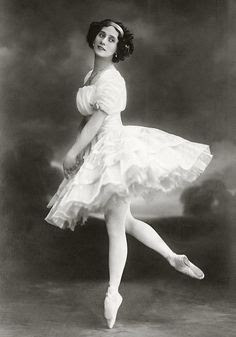 Who cares if Anna Pavlova didn't come here until 1929, we win! Anyway, all of that is to say, no one really knows where it first truly popped up, and I certainly don't have a dog in the fight of the "Pavlova Wars." What I know is that the dessert, now that I've made it and tasted it, certainly does justice to the brilliant ballerina, who was once described thusly: "She does not dance; she soars as though on wings." This light, airy, sinfully scrumptious dessert even looks like a tutu (if you squint), and I loved the winter flavors of the citrus curd, mix of citrus sections on top, and crunchy coconut. It is a winning combination, and a stunningly beautiful dessert, not only for your Holiday table, but any special winter meal. The only thing you have to be mindful of is not to assemble the dessert until just before serving. The bottom portion is a glorious meringue, whose origins, I'm happy to report, can absolutely be traced back to France, in a cookbook by French chef Francois Massialot. His book, Nouveau Cuisine Royal Et Bourgeois, circa 1692, gives recipes for the first meringues and macrons. Meringues are so delightful, so beautiful, airy, crunchy, sweet, and heavenly in the middle, it's like eating a cloud. Well, okay, a cloud in Candy Land, maybe. But they're also notoriously finicky, so that cloud, if not handled correctly, can turn into a crumbling, yet wet, chewy sweet mess. The recipe for this meringue requires baking for 2 hours, and cooling inside the turned off oven for a further 2 hours. At this point the meringue can be stored in an airtight container for up to 2 days, but I'm here to tell you that handling and moving the large, cooled meringue more than once is not for the faint of heart. Plan your dinnertime and dessert time accordingly, though, and you can present this showstopper in all its glory right from the cooled oven. With the delightful citrus curd and sections of blood oranges, tangerines, or grapefruit, all that juicy fruit can also wear down the integrity of the meringue in the course of an hour or so - which is why it is recommended that the dessert be eaten straight away. And now we come to the part of our program where I make a confession. I screwed up big-time. In my rush to get everything done on time, I forgot a crucial step. I forgot to make the whipped cream that folds into the citrus curd completely. Maybe it's because the ingredient is listed under the "Topping" section instead of the "Curd" section, but I missed it. That's why you don't see much of the Curd on the Pavlova. But you know what? It was completely and ridiculously delicious anyway! It just goes to show you that even a so-called "gourmand" goofs up now and then. Okay, a lot, really. 1. Make the curd: Whisk together first 5 ingredients in a 2-quart saucepan. Whisk in the citrus juices. Cook, whisking, over medium 5 minutes (do not boil). Remove from heat; add butter, 1 tbsp. at a time, until melted and smooth. Pour curd through a wire-mesh strainer into a bowl. Place plastic wrap directly onto surface to prevent a film from forming. Chill 2 to 24 hours. 2. Make the meringue: Preheat the oven to 225˚F. Line a baking sheet with parchment paper and draw a 9-inch circle on paper. Whisk together the sugar and cornstarch in a bowl. Beat the egg whites at medium-high speed with a heavy-duty electric stand mixer 1 minute; add the cream of tartar and salt, beating until blended. Gradually add the sugar mixture, 1 tbsp at a time, beating at medium-high speed until mixture is glossy, stiff peaks form, and sugar dissolves (2 to 4 minutes). Beat in the vanilla. Gently spread the mixture into the circle on prepared baking sheet, making a large indentation in the center of meringue to hold filling. 3. Bake at 225˚F for 2 hours or until outside has formed a crust. Turn oven off; let the meringue stand in oven, with door closed, 2 hours or until completely cool and dry. 4. Make the pavlova. 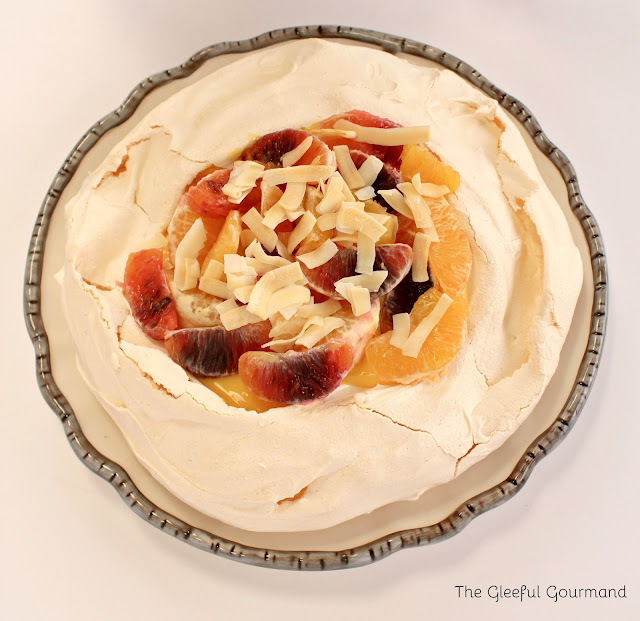 Carefully remove the meringue from parchment paper, and place on a serving platter. Beat the heavy cream at high speed with an electric mixer until stiff peaks form; gently fold the whipped cream into curd. Spoon the curd mixture onto the center of meringue; top with citrus sections and toasted coconut. Serve immediately. * From Southern Livings 2016 Christmas Cookbook, now exclusively sold at Dillard's. All proceeds to the Ronald McDonald House Charities.